← The horror! The horror! Hey, remember the Berkeley Arts Center? That cute little gallery in Live Oak Park? So nice and cozy, and it seems like no one knows about it! I hadn’t been there in many years, but it’s just as inspiring as it’s always been. Music sounds great in there! 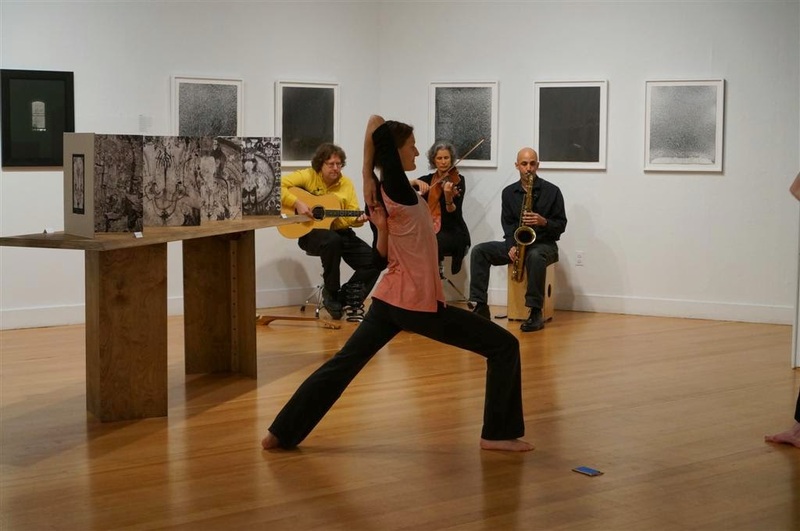 I was happy to join with my buddy Rachel Durling and saxophonist Stefan Cohen last week to provide the soundscape for the Yoga Garden Dancers, a long-standing (hah!) project of Yoga teacher Gay White. Here, in a photo by Agnes Rettie, is dancer Tasha Hansen.